Snow like grace falls on the dark of what seems dead. Creation becomes a lesson of contrast – darkness and light. so we may clearly see the division of good and evil. We cannot sorrow over darkness if we cannot identify it. 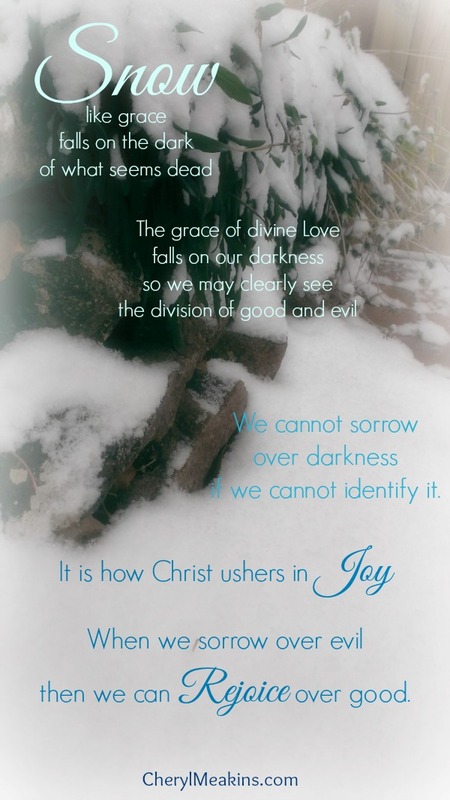 It is how Christ ushers in Joy.